FOUR LUCKY SYNDICATE members are celebrating after winning nearly €8m in the Lotto. 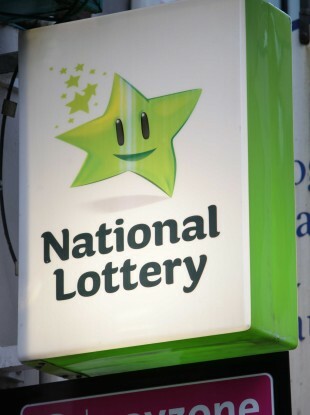 There were “jubilant celebrations” when the quartet picked up their €7,902,685 Lotto winnings at National Lottery HQ on Abbey Street, Dublin today, said a spokesperson. They had won big after entering the Lotto jackpot on Saturday 23 April. The winning ticket, a normal draw ticket, was purchased in Londis, The Faythe, Co Wexford on the day of the draw. The National Lottery said that the syndicate wish to remain private, but “revelled in their Lotto success as they come to terms with their jackpot win”. Plans are well underway for the group to go on a sun holiday together before deciding on their plans for their win. All four syndicate members have vowed to return to work after their break away in the sun. It’s already been over two weeks since we hit the jackpot and the reality of it all has really only started to sink in. The rest of the syndicate are laughing at me because I have continued to do our usual lines in the Lotto and EuroMillions ever since! They added, ‘We are all planning a nice long sun holiday this week so we can take some time out and think carefully about what we will do with our winnings. We are going to enjoy this win for a long time but the priority for all of us in the syndicate is to take care of our individual families. Tomorrow’s jackpot is an estimated €4 million. Email “Syndicate scoops €8m - and the winners want to remain anonymous”. Feedback on “Syndicate scoops €8m - and the winners want to remain anonymous”.